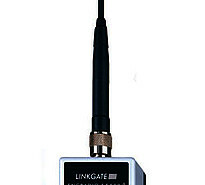 Completely innovative in concept, the LinkGate radio transmission system is a state-of–the-art device for wireless transmission of timing signals. The system consists of a very small Encoder (for the transmission of impulses) which can be connected to any gate, photocell or device with a normally open contact, and a Decoder (receiving device). The two large buttons on EncRadio, which can be pressed even with ski gloves on, allow rapid setting of the competitor number on the display. The system will thus transmit to the receiving stopwatch not only the event taken but also the bib number to assign it to. 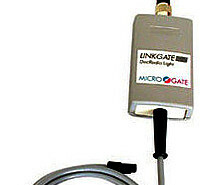 LinkGate can be used in combination with the Racetime2 and REI2 stopwatches and also allows remote control of the MicroTAB alphanumeric displayboards and the MicroGRAPH graphic displayboards. 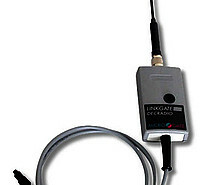 LinkGate DecRadio and EncRadio (multi-frequency) in the 10 or 500 mW versions. A range of up to 9 km (in the 500 Mw version) guarantees it can be used in the different sporting disciplines. 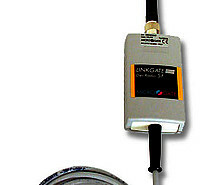 The system makes it possible to vary the radio frequency to operate on. 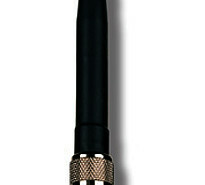 External radios can also be connected on request. DecRadio SF and EncRadio SF (single frequency) in the 10 or 500 mW versions. A range of up to 9 km (in the 500 Mw version) allows a wide range of use. The radio frequency used for operation cannot be varied. EncRadio SF is also installed in the Polifemo-Radio SF photocells. DecRadio Light only in the 10 mW version. With a range of about 400 metres, it is the ideal instrument for training in team sports, light athletics, etc. 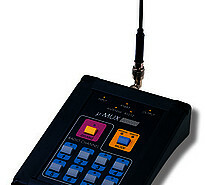 The EncRadio-Light transmitter is embedded only in the Polifemo-Radio-Light photocells. The reception modules are directly powered by the unit they are connected to: REI2 and Racetime2 stopwatches. [Translate to Russian:] The EncRadio transmitter is now available with a more powerful radio transmitter.